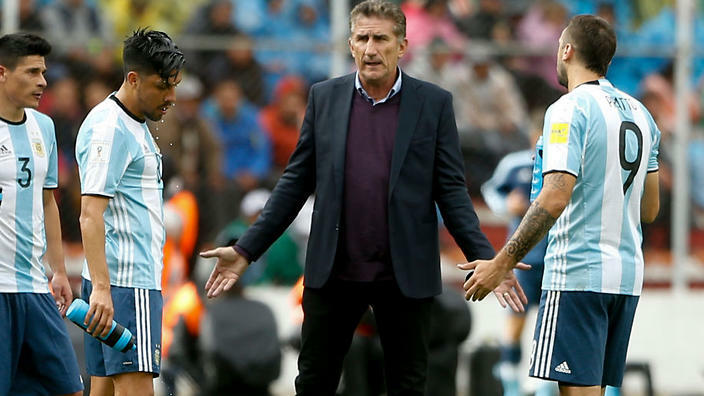 Enough is enough.With Argentina’s 2018 World Cup qualifying bid hanging in the balance, the nation’s Football Association has removed manager Edgardo Bauza. Argentina, who haven’t missed a World Cup event since 1970, are currently fifth in the qualifiers in the CONMEBOL region, but only the top four teams will get a ticket to Russia next summer. The team who finished fifth will feature in an intercontinental playoff. Bauza, who was appointed last August 2016, lasted only eight games, in which Albiceleste managed to win only thrice, with two draws and three losses. Brazil have sealed an outright spot with 33 points from 14 games, while Colombia, who have 24, and Uruguay (23) and Chile (23), are within reach of the two-time world champions, who have 22. All teams have four games to play. Argentina’s plight might not be better soon, especially with talisman Lio Messi set to miss the next three national team games after getting slapped with a four-match ban for verbally abusing officials. The Argentines are ranked second in the world and have featured in the finals of three big competitions but failed to bring home the bacon in each three games. In 2014 they bowed down to Germany in the World Cup finals three minutes before the game would have gone into penalties. A year later, they succumbed to Chile in the penalty shootout of the 2015 Copa America finals, and fell to the same team via the same way of spot kick shootouts in the final of 2016 Copa America Centenario final.